Making ice cream and creme patissiere means one has a tonne of egg whites left over. Those lonely egg whites, sitting in my fridge were begging to be made into something amazing. 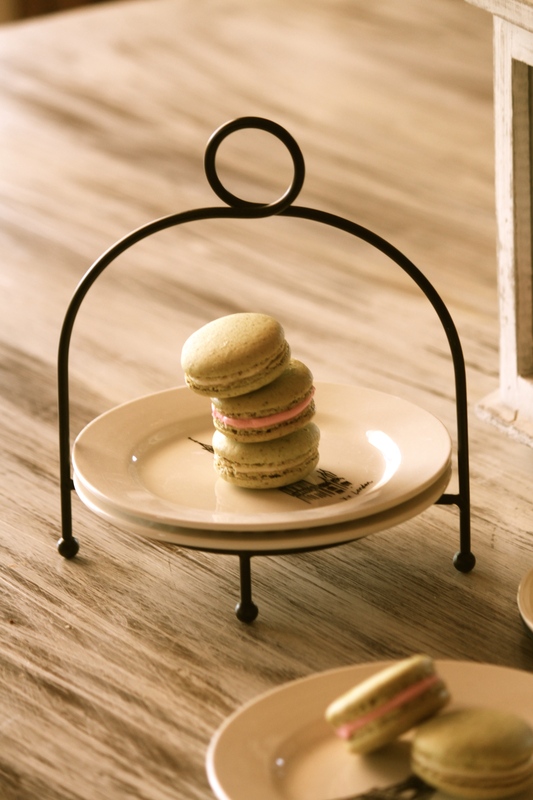 I tried to resist the macaron lure, but it was futile. There were pistachios in my cupboard, and over 1 kg of figs so I decided to take a risk and sub half of the almond meal for pistachio meal. I was prepared for failure, and was more than pleasantly surprised with the results. Sure I got a few cracked shells but no more than usual, so the substitution held up well. But more than that, the intensity of the pistachio flavour was incredible. and paired with caramel fig compote ringed with either cream cheese icing or rosewater icing, they have become one of my favourites yet! 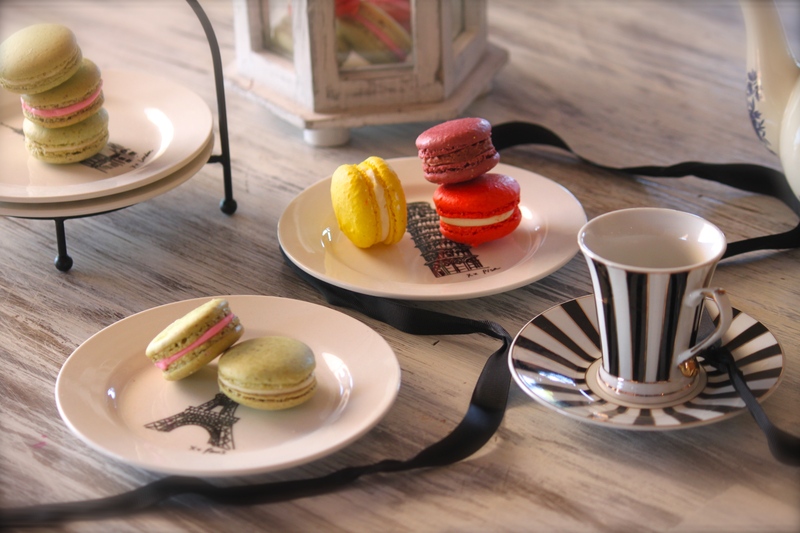 Prop find: new cute little cake plates with landmarks from around the world. 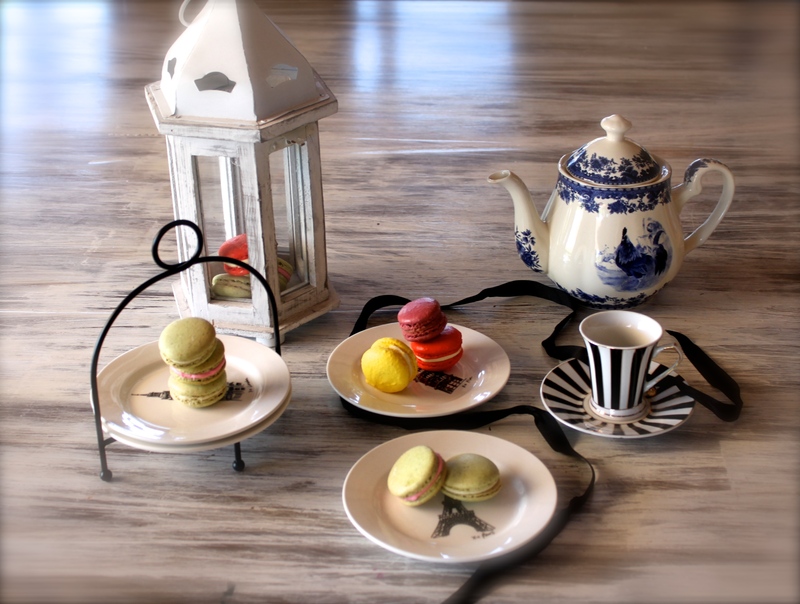 They match beautifully with my mini teacup set. And teacup= tea. Midmorning tea must be T2’s strawberries and cream. This morning has been quite heavenly so far. Anyway, go make these and brew a cup of your favourite tea. It’s Friday a fter all! Sift the pistachio, almond meal and icing sugar into a large bowl. Put 50g egg white onto of this. Set aside. Combine water and sugar in a small saucepan and bring to 118˚C (softball) on a stove. When the sugar syrup reaches 105˚C start whisking the remaining egg white in a stand mixer, until foaming. Once the sugar syrup is at 118˚C slowly stream it into the egg whites down the side of the bowl while the mixer is on low/medium. Increase speed and whisk until cool. Fold the meringue into your dry ingredients in 2 batches, adding the colouring as you do. When combined and the mixtures falls like a ribbon from your spoon, it is ready to be piped. Pipe circles onto baking sheets lined with baking paper. Bang the sheets down a couple of times to remove air bubbles. Bake for 15-18 minutes at 150˚C. Combine sugar and water in a saucepan, and bring to a light caramel colour. Add the butter and the figs and stir until completely combined. Beat butter until pale and fluffy (2 minutes). Add 125g icing sugar and the cream cheese and beat on low until combined. 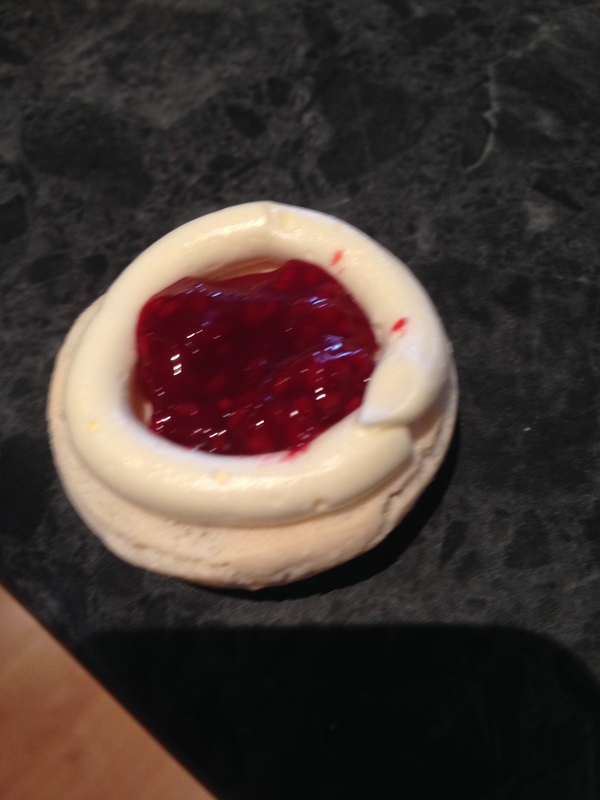 Remove half to icing and place in a piping bag. Add the rosewater and colouring to the remaining icing and mix until combined. Place in a piping bag. My mum was reading through some old recipes from her grandmother and decided to try a few out. She chose gingerbread and I chose the vanilla chiffon. There’s something lovely and welcoming about a chiffon cake, soft and light and a good match for a strong fruit filling. So i made a blackberry jam type filling and topped it with a vanilla bean icing. A lovely cake passed down through generations, we shall continue to enjoy it.